If y'all have been reading for a while then you know that I have the wrinkles of a 80-year-old woman that smokes & has a year-round tan pretty bad wrinkles. It may have something to do with the fact that I never put sunscreen on my face till last summer. And when I was pregnant, I gained EVERYWHERE! I was just before making my Botox appointment when I was contacted by Kerrianne from Perricone MD. She let me in on this fabulous little anti-aging product Advanced Face Firming Activator. As soon as I read face firming I was sold! Not only is my face wrinkly, my neck is even worse. It gives new meaning to the term "chicken neck". Perricone also has a product for neck therapy. I might even start getting carded to buy my Boone's Farm! 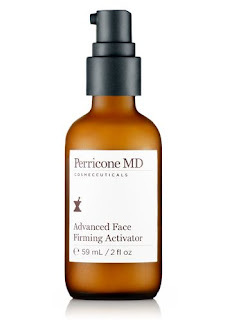 Perricone is offering one of my fabulous readers a bottle of Advanced Face Firming Activator, which sells for $120.00. How great is that? Comment and share why you want or need the Advanced Face Firming Activator. 3. 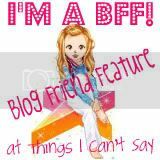 Blog about this or post on your sidebar. 5 entries! Sorry, but this giveaway is only open to residents of the US & Canada. The winner will be chosen by random.org on Thursday, April 29. You don't look wrinkled in your pictures...are you kidding? You are one hot mama!! Now, me...on the other hand?? I'm starting to notice all kinds of wrinkles on my face, especially my forehead. Darn kids are aging me faster than a chicken thawing on the kitchen counter. I fanned you on FB! I need it because, well, basically, my whole face is falling. And...I am a follower! Having 3 girls has aged me and I can't imagine how I will look when they're all teens...yikes! I have been following and I have been a fan! I need it because I need a mother's day present!!!! Jan would love this. LOVE THIS. You know she would. Don't you? If you don't... she always complains about her face. Of course I'm a follower! and why do I need this? 1. I'm 60 years old. 3. I will be on "display" as the MOB at PD's wedding in June, so I do need to "wow" them, don't I??? Thanks for the entry. You're the best. And you don't have wrinkles. You are a living doll! The elasticity of the skin really is starting to change! Help! I'm your FB fan now! I'm 30 and starting to notice these little teeeny lines around my eyes. I don't wanna be old yet! :( So I would LOVE to try this! Of course I follow you!! You certainly don't look like you need it! I WANT it and NEED it. I'm going to be 44 this year! I don't know how or when that happen but my little lines are showing and I want them gone! I desperatly need this product! I'm 27 and already seeing wrinkles in my forehead! Its awful! I've tried several different products, and I've been wanting to try the Perricone badly! great giveaway! I'm a follower, and a FB fan. I'll post about the giveaway today. Reaching the half century mark brings with it skin that is a little less toned, is a little droopy, and a lot dry. From all I've read of this Perricone product, it seems to do an excellent job of targeting those problems (MY problems!). I'd like to see if it could transform my skin. 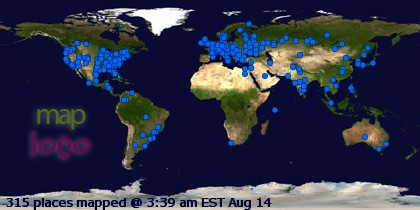 I'm following on GFC. Thanks for the chance to win! I need this because at 54 years "young", I need a really superior skin product that works. I need it because I am getting terrible crow's feet and that furrow line between my brows! I've got you on FB. I want this because I tried it once and loved it. I would love to be able to give to my sister for her birthday! Oh please, I am getting lines on my forehead from focusing too much or as hubby calls them brooding, pouting lines. Please pick me I'm desperate! Of course I'm FB fan! Please pick me! I need to look hot. Because I'm prego and plumping up and then at least my face would be decent. Right? I found you from Post it Notes Tuesday on Supah Mommy. Now a follower! OMG I soooo need to try this. I'm approaching 40 and what's worse? I work with a bunch of twenty-somethings so every day I'm reminded of how old I am. i want it because i am a big fan of preventing aging! I'd love to try this to get my face all pretty before my fall wedding! 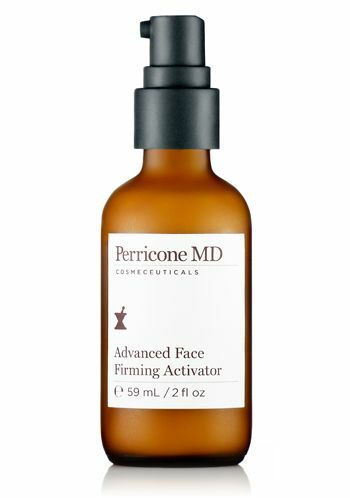 I want & need face firming activator because i have lines and wrinkles already and JUST entered my 30's! Help!